"The CEO recently went on a store tour with the sales and marketing director. He posted a video on Speakap when he was going to the next store, and a lot of reactions came through. The CEO was blown away; he wasn't aware that we had something so innovative and effective, and he was really proud. " 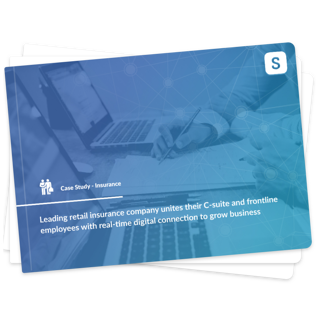 Learn how one market-leading retail insurer unites their C-suite and frontline employees with real-time digital connection, in order to grow their business and profits.